Music streaming services aren’t perfect, and Spotify is no exception. 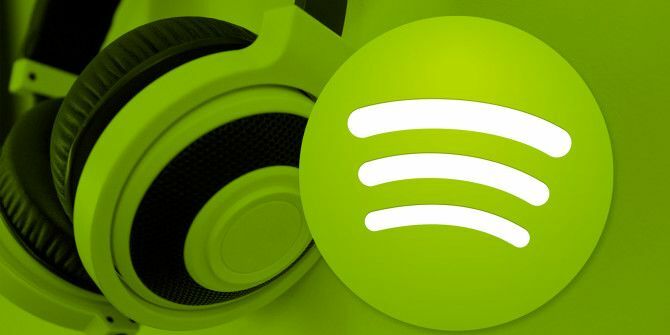 Any long-time Spotify user knows the company is famous for stripping popular features out of its app How to Restore the Best Features Spotify Has Removed How to Restore the Best Features Spotify Has Removed Spotify may be the best music streaming service available, but it has shed a few features in recent years. Find out how to get the best lost features of Spotify back for good. Read More . But that isn’t even the elephant in the room. The biggest problem is offline listening. How do you access your songs when you don’t have an internet connection? Thankfully, Spotify provides a way to download songs onto your device so you can play them at any time, anywhere. If you want to download songs from Spotify onto your mobile device, just follow the simple step-by-step instructions below. Navigate to the artist, song, album, or playlist that you want to download. Flick the download toggle (below the artwork) into the On position. Wait for the song to download. Verify the content has successfully downloaded by looking for a small green circle next to the music in question. Firstly, you need to be a premium member. A premium membership costs $9.99 for an individual license or $14.99 for a family plan. Family plans cover up to six users. Secondly, you can only download a maximum of 3,333 songs per device on up to three devices. Many users have complained about the restriction, but it’s out of Spotify’s control. The record labels are making that decision. Regardless, 3,333 songs is approximately nine days of continuous music, so you should be fine. Finally, you need to go online at least once every 30 days. Failure to do so will render your offline songs inaccessible. Do you download music from Spotify? Let us know in the comments. Thanks for the guide. But it appears only Premium users can enjoy the offline feature. I know something like Spotify Downloader software could download the songs from Spotify even for free accounts. One of the app called TunesKit Spotify Music Converter works great on this: https://www.tuneskit.com/music-converter-for-spotify-win.html. People are complaining about a highly generous 3333 song limit? Wow, it's a lucky thing I read this! I didn't even realize there was 3333 song limit and you have to go online every 30 days. I usually set my Spotify to offline mode to save data when I'm outside and sometime I leave it offline for quite a while. I'd kill myself if I had to download everything again. That happened once and it was so annoying!